In this episode of Business Systems Explored, we speak to Tim Paige, of LeadPages, about the tactics he’s used to help LeadPages grow to an impressive 40,000 customers, and 170 employees. 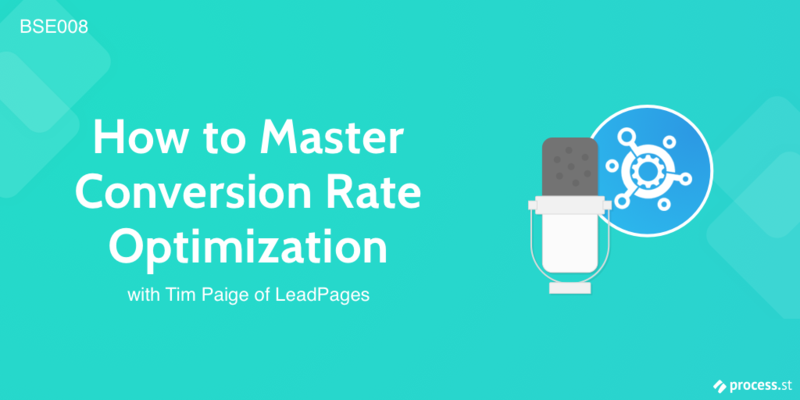 Tim Paige is the Senior Conversion Educator at LeadPages and the host of Conversion Cast, a podcast for performance focused marketers. Since joining LeadPages, he has hosted over 400 live webinars and recorded over 100 episodes of his podcast. Tim shares his journey from door-to-door vacuum salesman to a marketer that helps LeadPages get tens of thousands of customers, and rips apart the systems he used along the way. We learn about a different approach to the 80/20 rule and why there’s another hidden rule there that’s just as important. Use the links below to listen to the episode, or subscribe on iTunes so you never miss out. I am in love with your interviews! Amazing! Keep up!